Harry Goulding was a sheep trader looking for a new business opportunity and a place to call home. 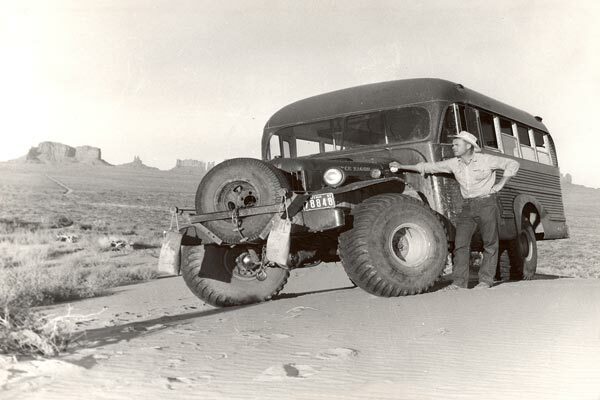 In the early 1920s, Harry and his wife Leone, whose nickname was “Mike,” visited Monument Valley and were enamored with the area. 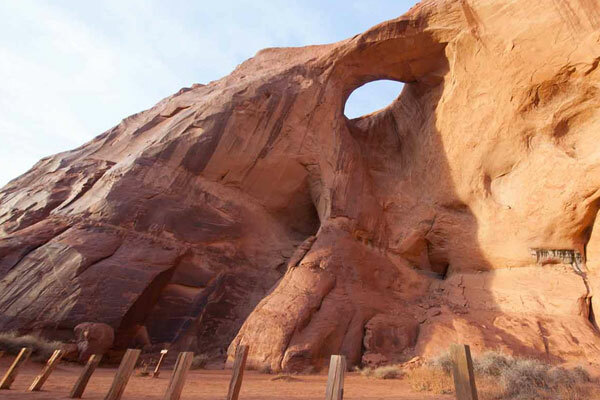 Although Monument Valley had once been part of the Paiute Indian Reservation, the reservation relocated and areas of land opened up for sale. 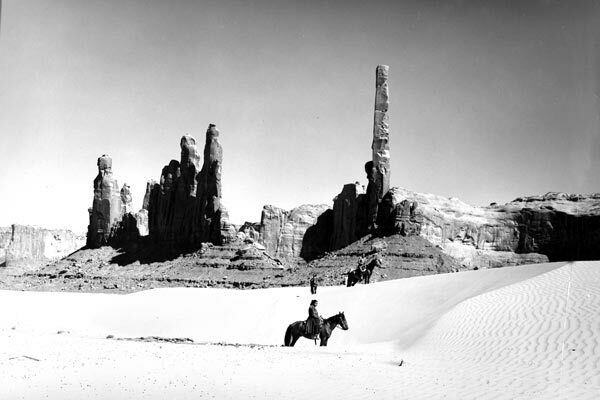 The Goulding’s jumped at the chance to purchase a substantial plot of land in Monument Valley and quickly set up a Trading Post. 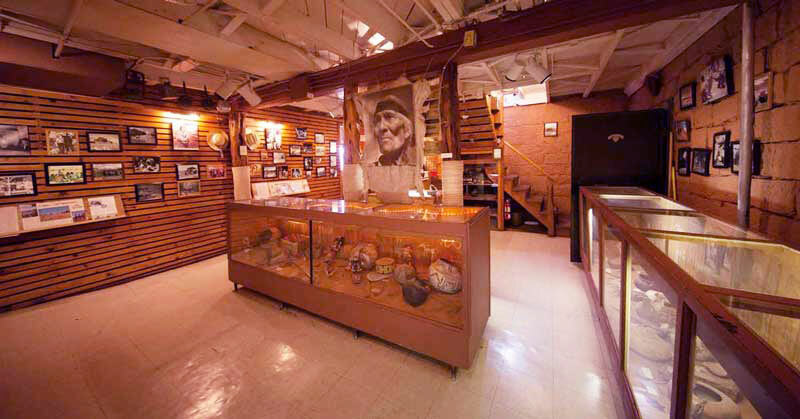 Starting out in tents, the Goulding’s conducted business with the local Navajo people, trading food and other goods for handcrafted items like rugs and jewelry. After several years living and working in tents, Harry and Mike constructed a permanent building, now the Goulding’s Trading Post Museum. 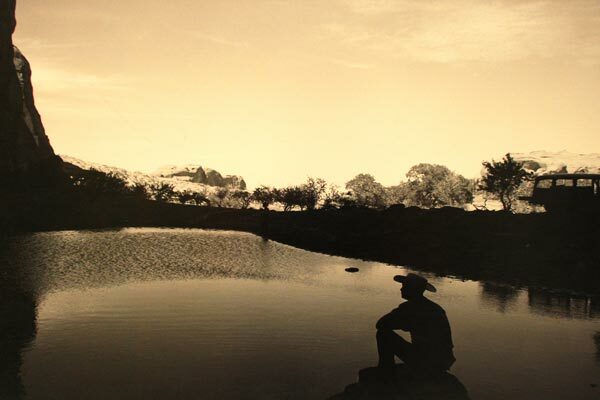 Harry Goulding looking out over John Ford's point. 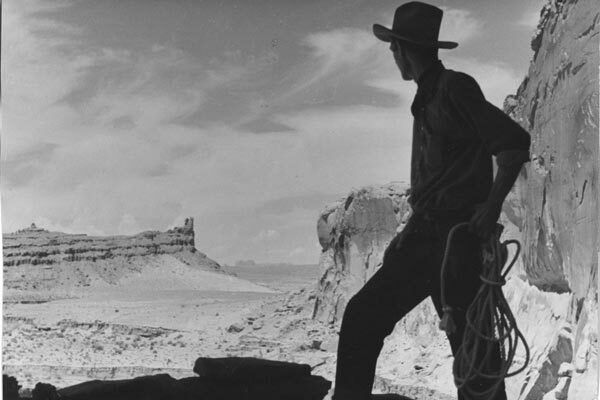 When the Great Depression hit in the 1930s, the Navajo Reservation suffered immensely. Harry heard of a movie production company scouting out locations in the Southwest to use in films. 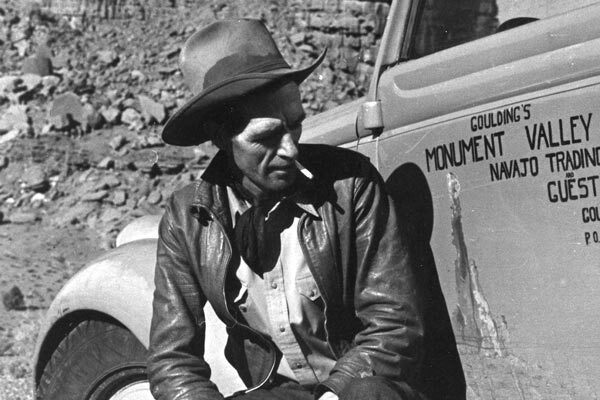 He believed that bringing movie production to Monument Valley would help the local Navajos with much-needed income. So Harry and Mike set out on a journey to Hollywood, California with their last $60. By luck and perseverance, Harry met the famous director John Ford. 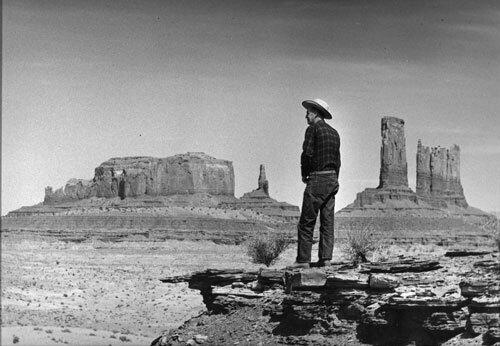 When Ford saw Harry’s photos of Monument Valley, he knew it was the perfect location for his next movie. The Gouldings received an advanced payment, and in a few days, John Ford and his crew began filming Stagecoach starring John Wayne. Over the years, the Gouldings continued to host movie crews, photographers, artists, and tourists. They built lodge rooms and a dining facility to accommodate their guests. 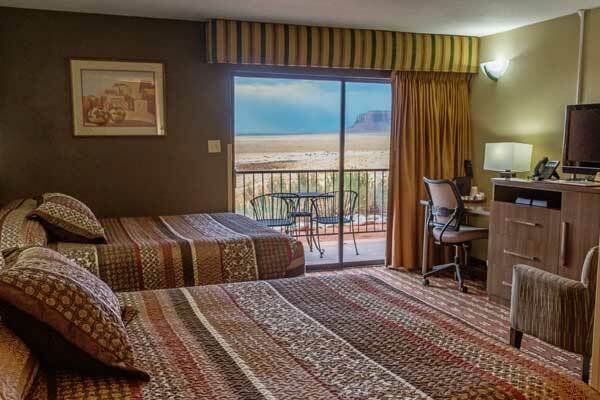 Since then, Goulding’s Lodge has expanded to host thousands of visitors from all over the world who come to see Monument Valley. In 1962, Knox College of Illinois took over the Trading Post and Lodge and the Gouldings retired in Arizona. Unfortunately, Harry fell into poor health. In 1981, the LaFont family bought the property, the same year that Harry passed away. 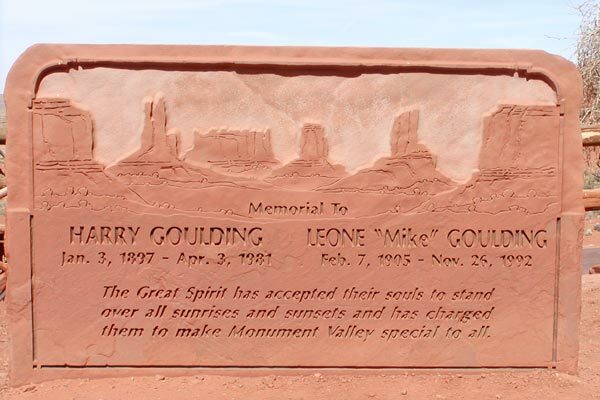 Soon after, Mike was able to return to her home in Monument Valley to spend her final days, passing away in 1992. 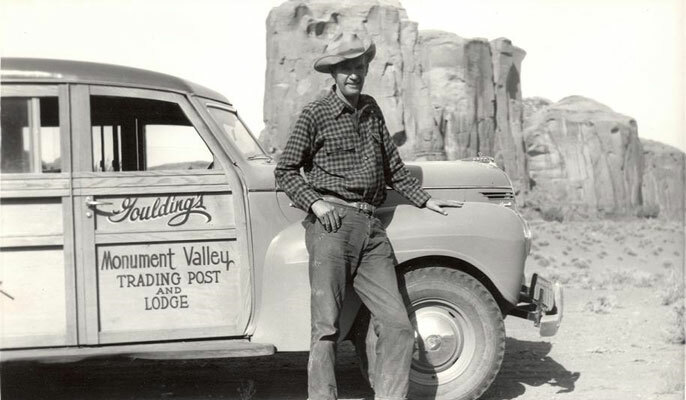 Thanks to the Gouldings’ pioneering spirit, Monument Valley has become an icon of the American West. Today, people from all over the world travel the same paths as Mike and Harry to appreciate its amazing beauty.